user research and customer-centered design. 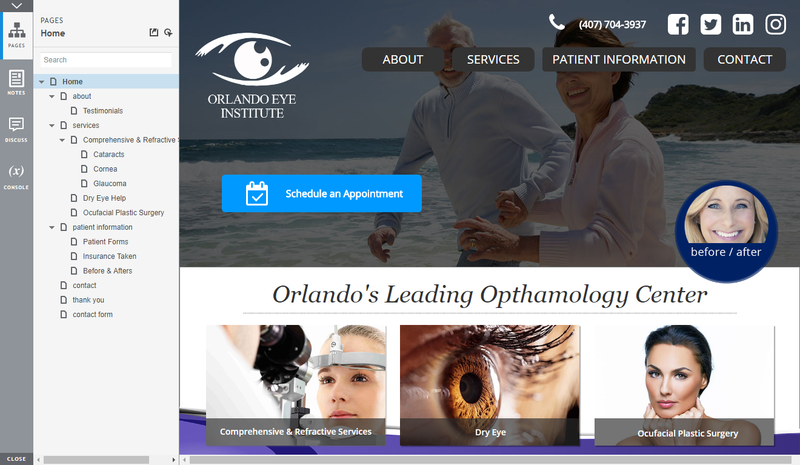 The stakeholders at The Orlando Eye Institute came to me with a mess of a site. While the content was (and is) fantastic, with deep SEO-friendly content and wonderful imagery, especially with regards to their before and afters, the site was dated, the information architecture disorganized and clear user paths nonexistent. 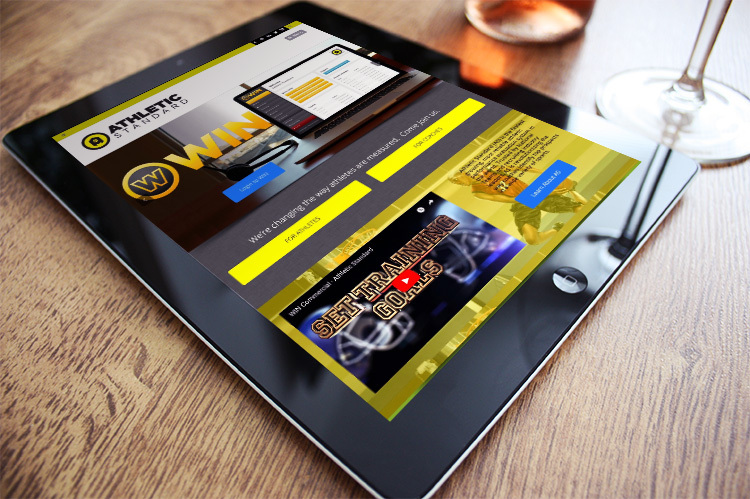 The client also wanted to conduct research to determine what information could be presented, so as to differentiate themselves from the competitors. The initial steps were to evaluate the stakeholders goals, then to conduct user research with existing patients, both in-person and remotely, to determine what information and services users wanted to obtain. In addition, competitor research was conducted to see what attributes the current site may be missing. I completely redid the information architecture of the site by conducting card sorting and tree-testing user tests, and converting those results into a detailed wireframe. I created design variations and conducted A/B tests for both aesthetic and usability feedback. Then hi-fidelity prototypes were created and developed into a live site. The site now boasts a cohesive information architecture, maximizing and leveraging the existing content into an intuitive customer journey. 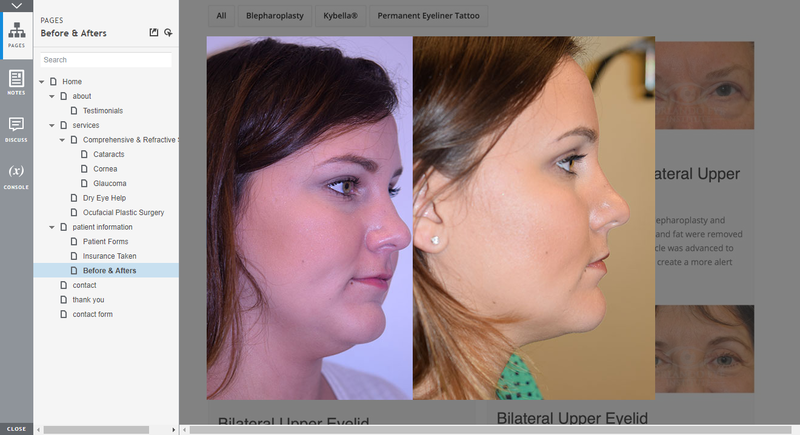 The site features clean paths to view both testimonials and before and after images, since it was determined that was an important factor in a user choosing one physician over another. 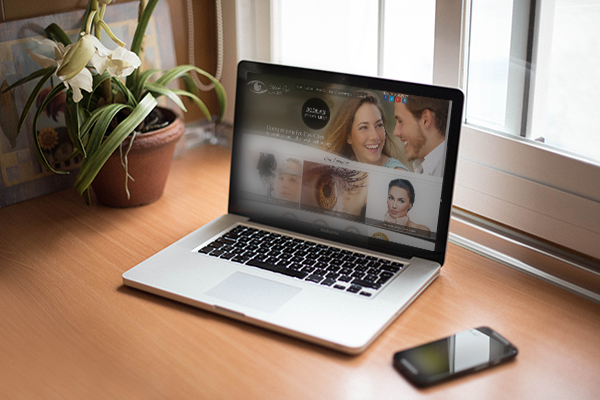 The site is fully responsive allowing users to view the site on all devices. Even though eye surgery is such a specialized medical field, Orlando Eye Institute (OEI) is still in a very competitive market. The competition to stand out online, both from an organic search perspective and paid search perspective is expensive (see pay-per-click costs can be expensive), and the need to convert these PPC leads into actual patients is no small feat. In addition, eye surgery specialists are highly educated, and their specialty incorporates both an art and a science, and as such a physician group’s brand personallity is critical. OEI came to me to help differentiate both their online presence and marketing message from the multitude of other choices that exist. competitive research and analysis, including report deliverables and presentations of findings to stakeholders. stakeholder and key employee interviews to established goals and restrictions. qualitative and quantitative user research, including ethnographic and remote interviews, card sorting and usability tests. review the information architecture of the existing site, establish a taxanomy and iterate based on tree testing. 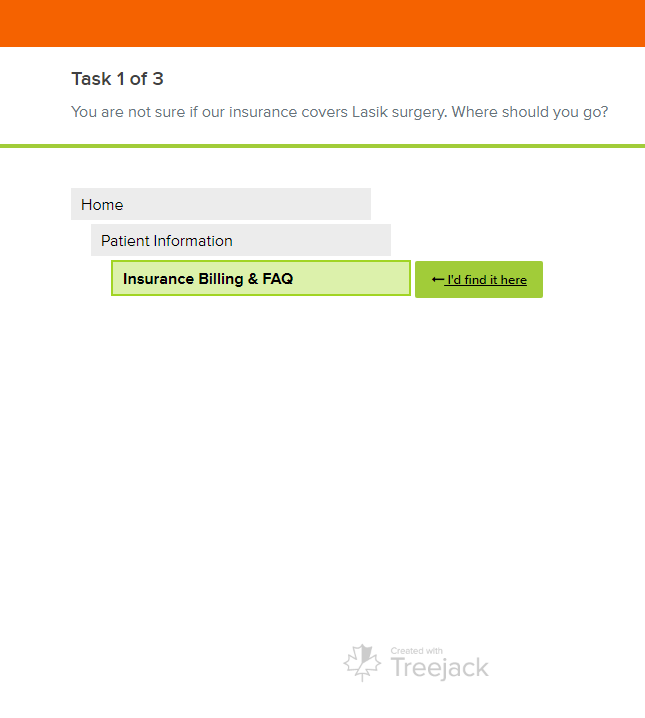 creation of wireframes, lo/mid fidelity prototypes, along with one-on-one usability tests. convert lo/mid fidelity protoptypes to hi-fidelity deliverables. follow up with usability tests to refine site experience. I started the process by sitting down, in-person, with the two primary stakeholders to see what their vision for the refurbished site was, what they wanted to accomplish and what they saw as challenges, limitations and restrictions in what they wanted to accomplish. 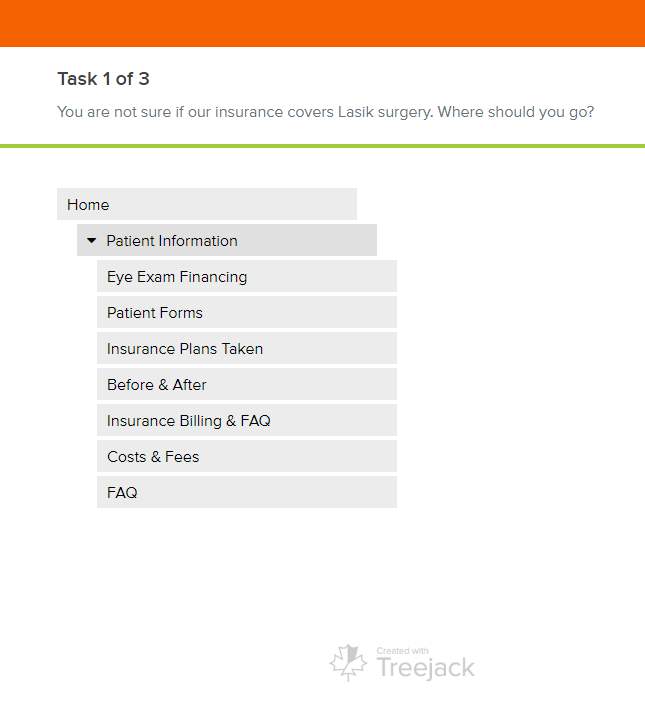 We reviewed a few local competitor sites, as well as a couple of “national” lasik surgery services. The goal in reviewing competitors, was to see what site attributes stood out to the stakeholders and to get a further (visual and content) sense of what directions they initially wanted to go. During this interview and review, I did caution the stakeholds that while this information is needed and is critical, I will be also reviewing and interviewing actual users too. I began the user research by diving deep into the details of the core target audience to understand their needs and psychological wants, as well as the quantitative elemenst, such as age, demographics, economic position, and other hard facts. Here, I worked with OEI’s staff to collect existing patients details. It was important to retain patient confidentiality and privacy, so I relied on OEI to deliver redacted information, that only displayed gender, age, city, and other non-HIPAA information in a spreadsheet format. While this was useful, it did not allow for qualitative input or feedback, so I researched and reviewed some third-party sources (e.g., here, here, here, and especially here) to get a better handle on who it is that would want eye surgery. 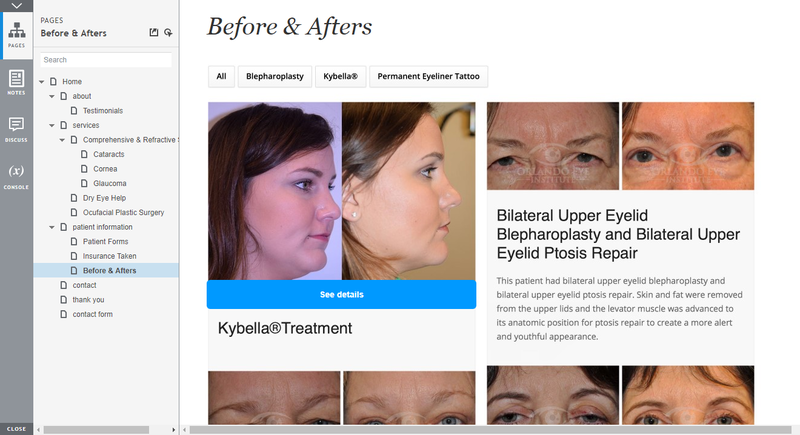 Some results from my user research revealed that users place a premium on before and after images, physician biographies (and online reputation), as well as information on how to obtain financing for procedures such as Lasik and refractive surgery. Because OEI came to me with a lot of content, it was important to review, sort and adapt the information to the new user experience. Not only was it important to use this information for search engine purposes, but to create an intuitive and user-centric sitemap/information architecture. 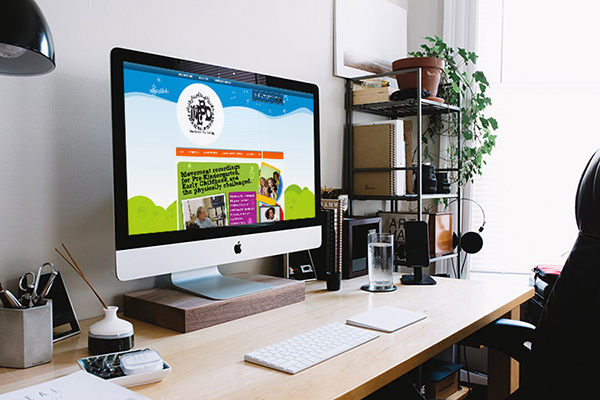 The challenge here was to take the site’s information architecture one step further, considering not only its navigation, but its ability to facilitate engagement with new or existing patients. I went though all pages, categories, tags, images, and any other content to establish an inventory of information. I was then fortunate that OEI had a number of existing patients agreed to participate in information architecture user research, in either a card sorting or tree testing environment, as well as participate in usability tests to gauge design styles and overall impressions of site layout and design. OEI gave such volunteers modest Visa gift cards for their troubles, upon completion of the studies they participated in. This testing was mostly done remotely, since it made sense to allow these users flexibility in when and where they would participate in such tests. 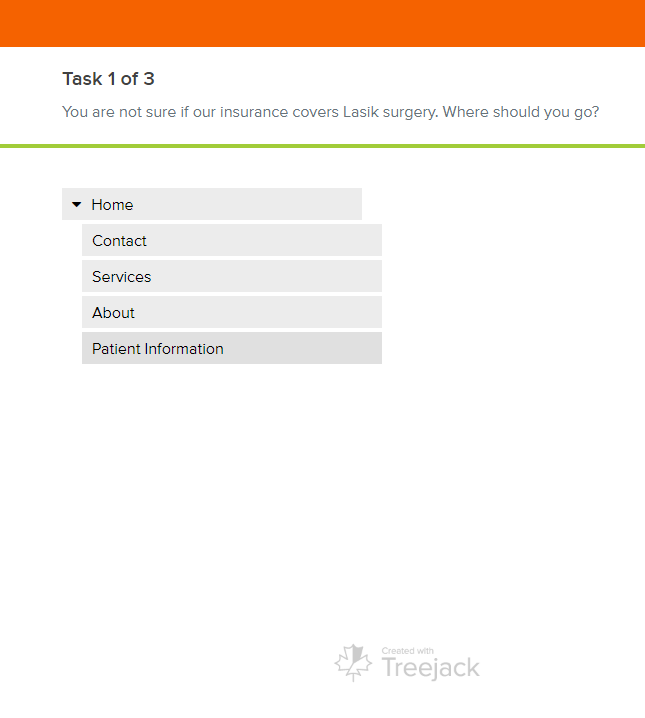 I randomly divided particpants into either a card sorting test (to see how information is perceived) and tree testing (to test specific user flows for such pages as before/afters, physician biography pages, insurance and financing information). While the number of participants were not as many as I would have liked (12), it was deemed sufficently representative. The results of this testing helped to establish a navigational hierarchy, and subsequent usability tests were setup to establish an equally important visual hierarchy. After establishing the user personas, receiving back some user research feedback and analysis, and setting up a general information architecture, we moved on to creating lo/mid fidelity prototypes. Because of the emphasis users place on before and after images, the visual hierarchy was blended into this stage of the process. 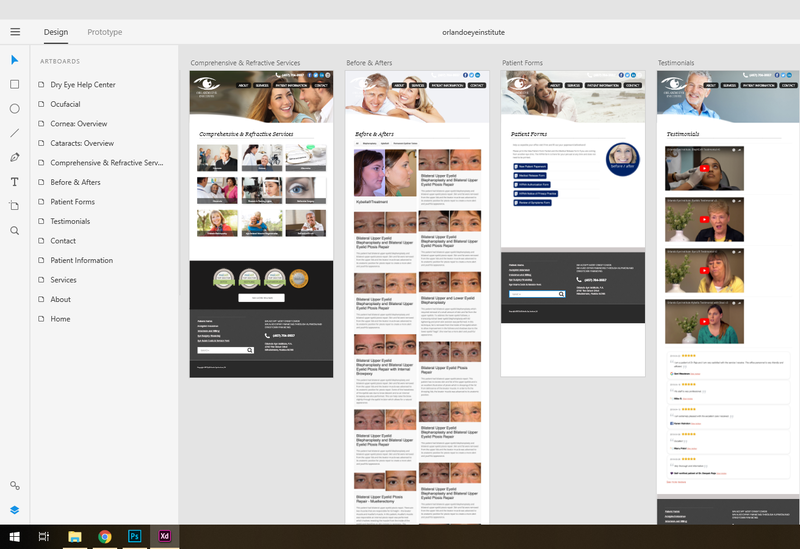 I created wireframes using Axure, a great program that allows for both traditional wireframing, as well as setting a visual user path that can (and was) tested for usability, as well as for various iterations. 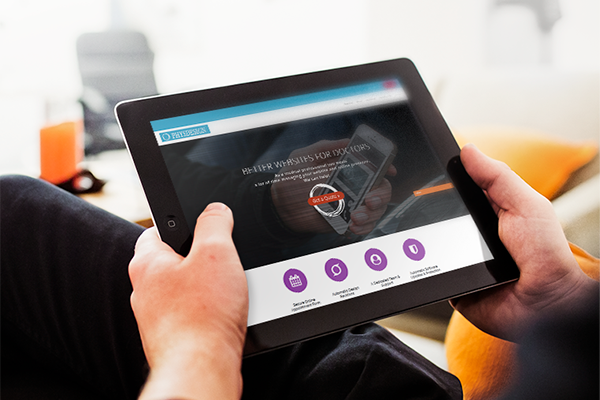 Usability tests revealed some fine-tuning that needed to be done to get to this final result. Some feedback from the usability tests had to do with mobile-friendliness and the ease of reviewing before and after images. screenshots of Axure user flow used for usability tests. Some of my thoughts, opinions, and tools for building a better digital world.